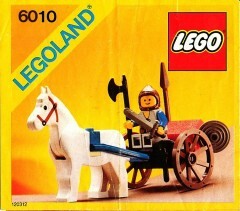 LostInTranslation wrote a nice article over on Brickset, a Brief history of LEGO horses with obvious relevance to castle fans. Definitely worth a quick read. I actually started to collect Lego horses about 3 months ago, the different colors , the printed horses as well as the mideavil skirts to put them in i use standard black horses to display the different mideavil skirts but otherwise i have 16 different horses at the moment.